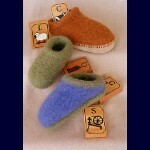 Two piece slipper bottoms that can be used with any style slipper. 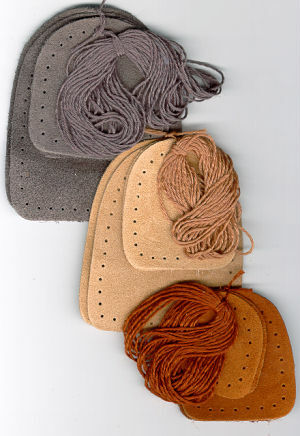 Made of suede in either charcoal, camel, or brandy. Punched for easy sewing and packaged with sock yarn for stitching to your slippers.